Oldham Golf Club is set in the foot of the pennines so the course is part moorland and the views from ‘top o' course' are quite magnificent, the Cheshire Plain and Jodrell Bank always visible and on clear days the Welsh mountains away to the west come into view. 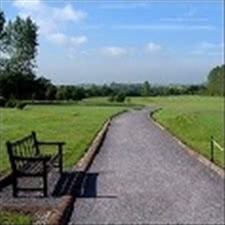 The course is a wonderful undulating layout so proves a challenge to golfers of all abilities. The course is always maintained in good condition and the greens are regularly voted best in the area. Visitors are welcomed by prior arrangement. I'm Matt, 16 and i am a Junior Member at Oldham Golf Club. Although i am only a member, i am allowed to compete in all competitions, even honour - board comps! The people here are all fantastic, the course always looks brilliant and even though it is a small course, its a challenge, especially when the wind picks up! !